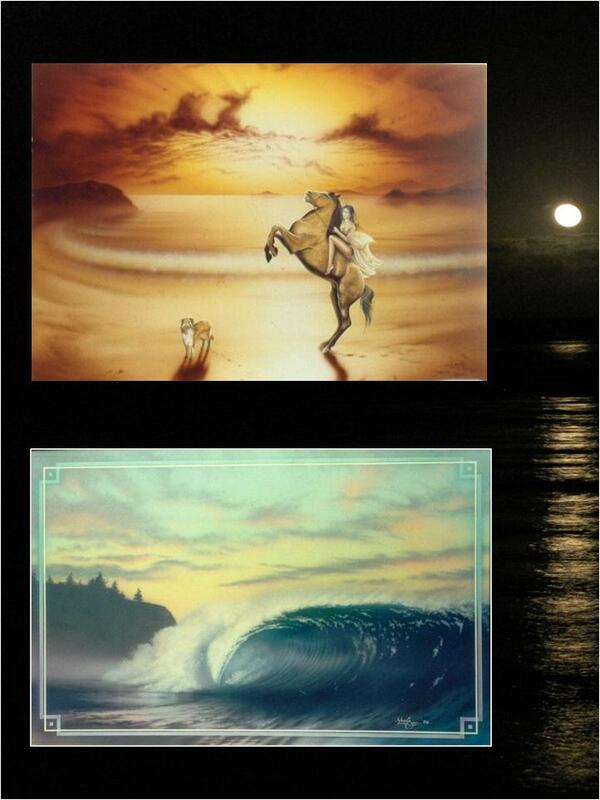 Seventies Surf Artist, Shane Egan was born in Sydney, Australia in 1952. Raised among the bushy waterways behind Sydney’s Northern Beaches by his pioneer diver father and gifted artist mother- his family finally settled at Narrabeen (New South Wales’ surfing epicentre) in 1958. 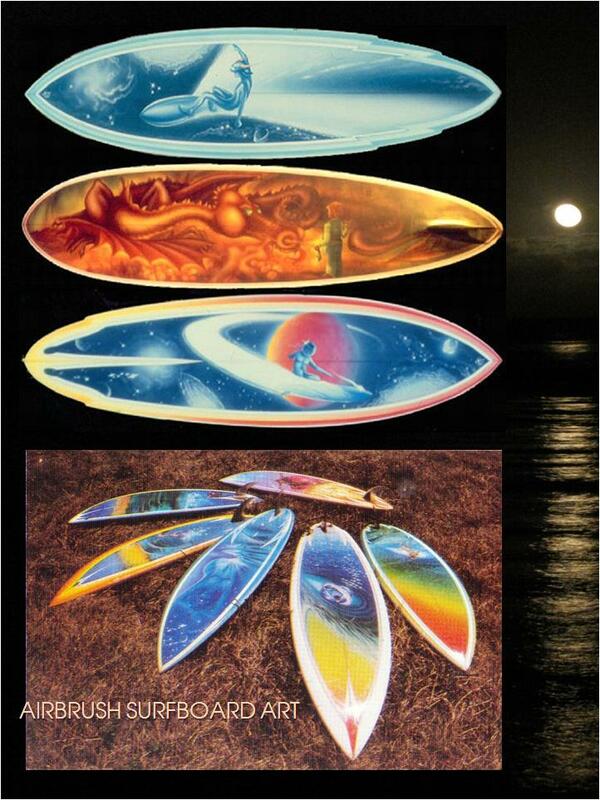 Always a nature lover, always an artist and since the early sixties- always a surfer. 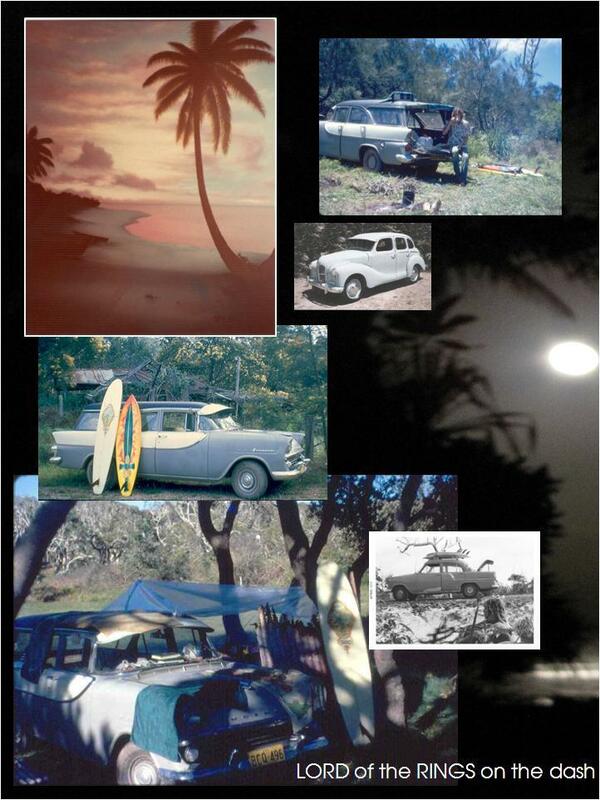 Based at Narrabeen and Warriewood Beaches, Shane and younger brother Dale (inspirational, standout surfer of the 70’s) cruised the strip between Palm Beach and Collaroy in their psychedelic painted Austin A40. 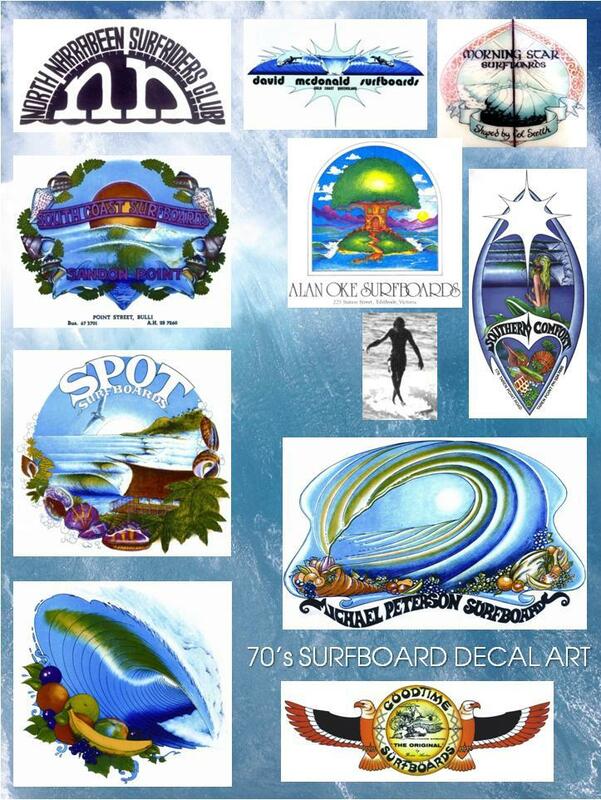 In the latter part of the Sixties Shane began designing Surfrider Club logos and surfboard decals. 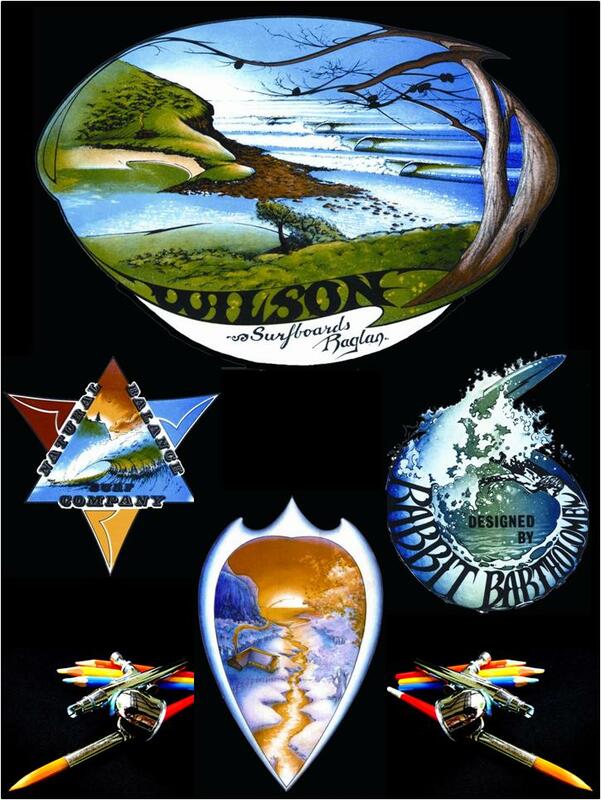 By the end of the 70’s he had designed or hand colour separated virtually all of the NSW and Qld board decals and several for NZ. Frequent trips South and North set the taste for greener surf, pastures. 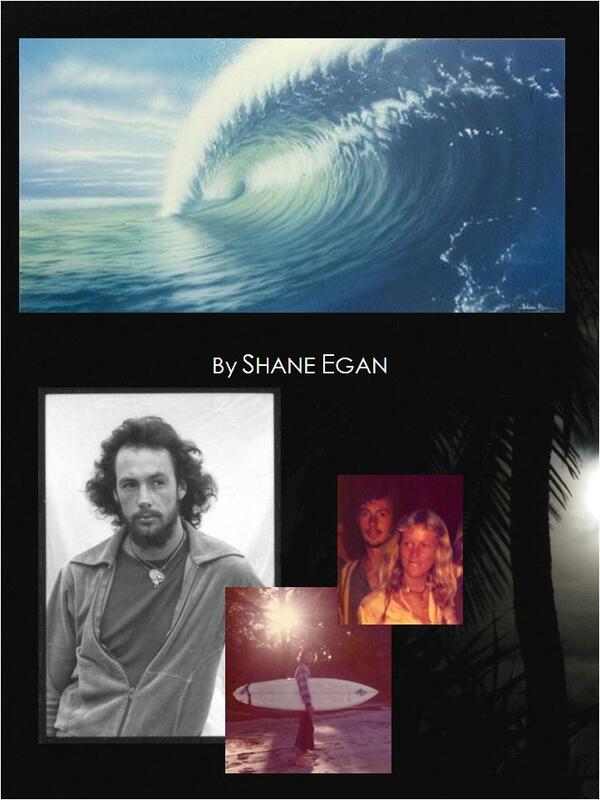 In ’72 Shane settled at the Coolangatta end of the Gold Coast, in the “Morning of the Earth” years. 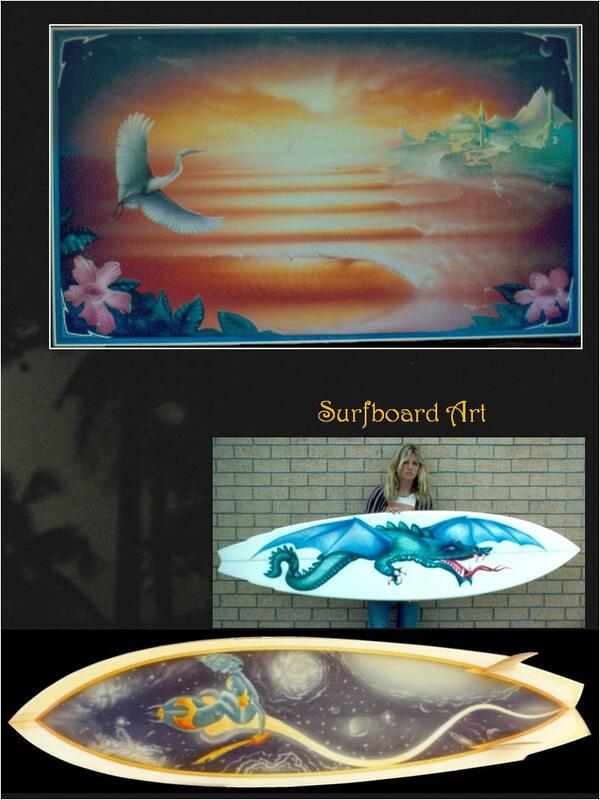 Having learned the professional art of silk-screen printing and making a freelance living designing Surfboard decals, in ’73 discovered his affinity with the Airbrush. 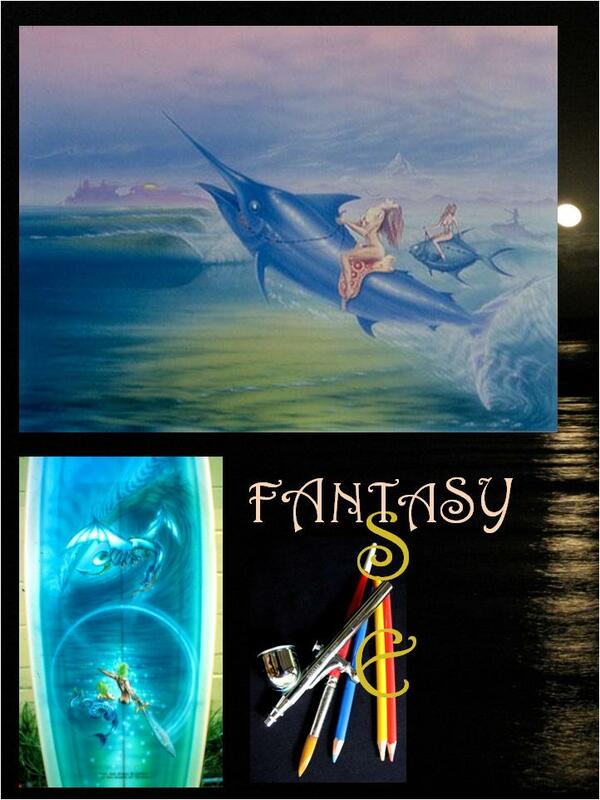 A unique combination of drawing on rice paper in an airbrushed setting gave, otherwise unattainable, detail for some of his fantasy works and created a distinct style. 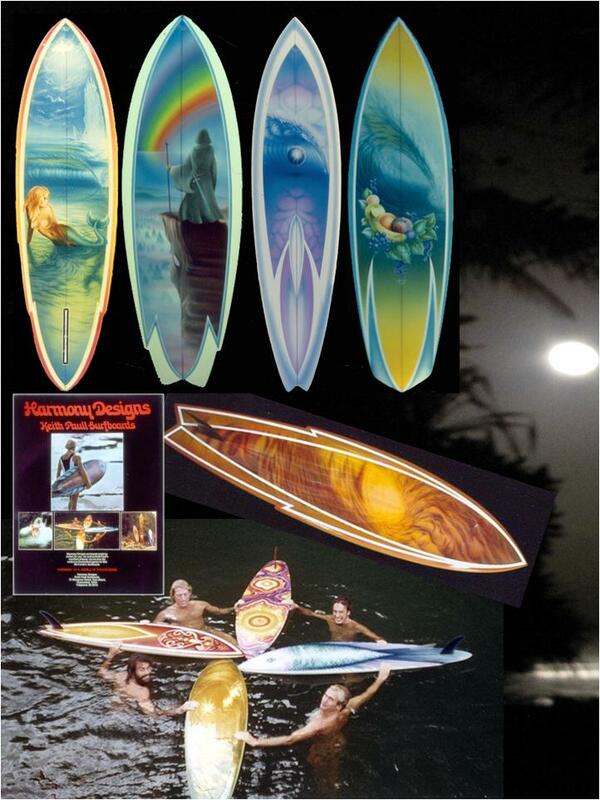 As the Gold Coast grew Shane was attracted to the frosty shores of New Zealand and exotic Bali and eventually, in ’85, made a committed move to the South Pacific Islands. Shane and his wife Chrissy (daughter of Kirra’s surfing/sailing legend Johnny Charlton) raised their son Chas and daughter Hayley island style. 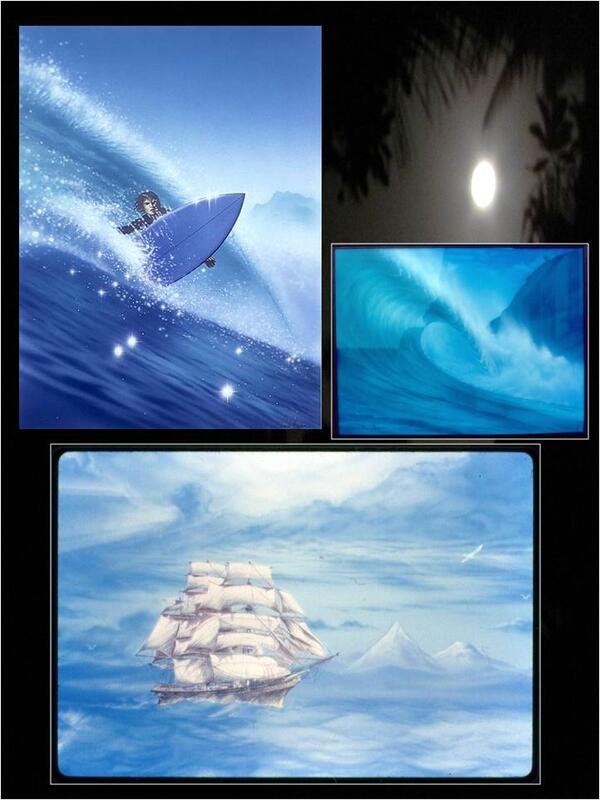 “The themes and style of my art can best be described as Surreal Fantasy and are always in perfect harmony with nature. From North Coast farm houses to Futuristic Palaces on remote, swell-drenched headlands; Tolkien inspired characters doing battle with Tube Dragons; Space Surfers riding Gravity Waves and sultry Mermaids looking wistfully into empty Cylinders- all mixed with layers of Pink Floyd, Hendrix and Eagles sounds. 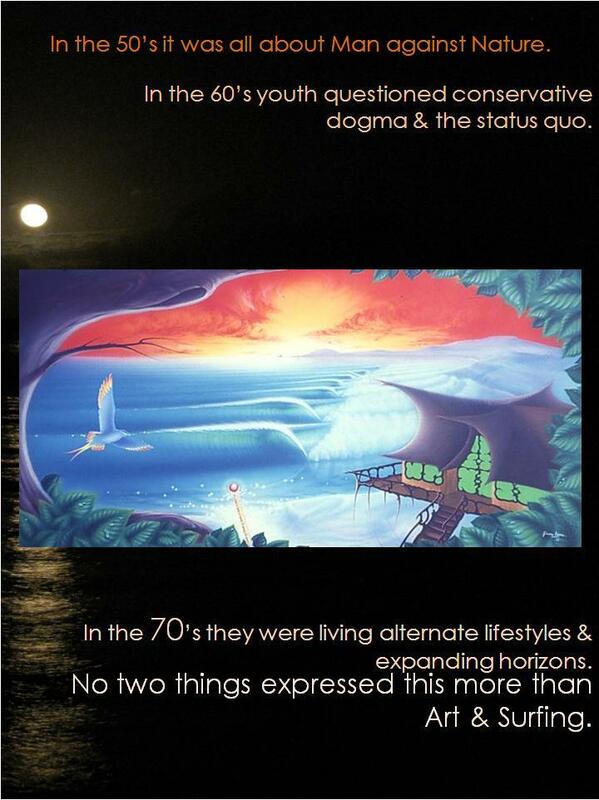 This was the Utopian Dream of the 70’s”- (the life he pursues to this day on a small, palm fringed island paradise). 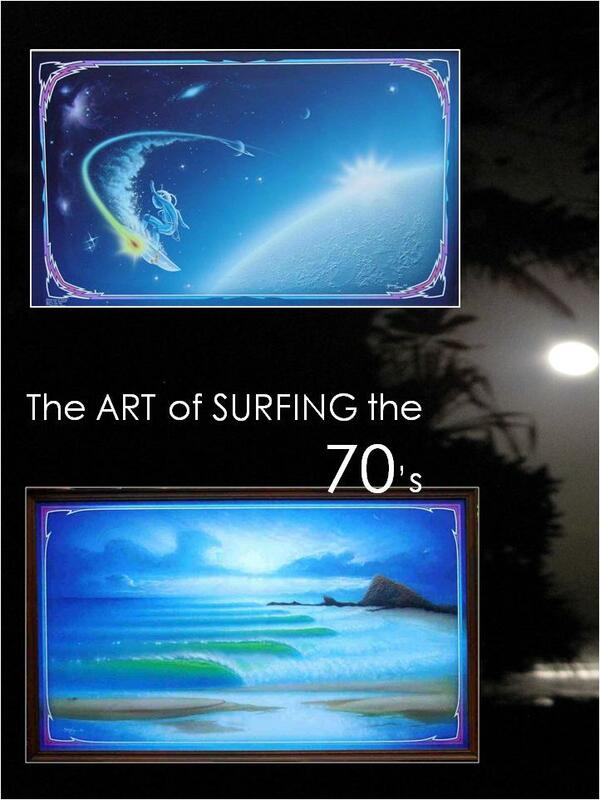 “Being able to pack up my Airbrush and pencils enabled me a nomadic, surfing, lifestyle and gave me the honour and pleasure of working with some of the great shapers and characters of that era”. Joe Larkin, Keith Paull, Peter Drouyn, Col Smith, Barry Bennett, Chris Crozier, Ron Wade, Peter Crawford, Brian Austin, Richard Harvey, Michael Peterson, Bob McTavish, Mark Richards, Gill Glover, “Rabbit” Bartholomew, Geoff Darby, Neal Purchase and Alan Byrne, in Australia, and Kingsley “KKK” Kernovske, Paul Shanks and Bob Davies, in New Zealand, to mention just a few.